2 PhD positions for the Development and the Understanding at the Molecular Level of CO2 Hydrogenation Catalysts via a Combination of Advanced Synthesis Methods, Operando Spectroscopy and Environmental Microscopy. The goal of chemconnect is to provide the students and PhDs at the Department of Chemistry and Applied Biosciences of ETH Zurich with a platform to find and offer opportunities for semester projects, theses and more. In addition, it allows companies from the chemical industry to advertise their job offers to the students directly. Search and find positions offered either by research groups or companies for Research Projects, Theses, Internships and more. By posting your open position, you can inform the students and PhDs about your jobs and projects. 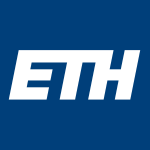 chemconnect is supported by the organizations representing the students and PhDs at the Department of Chemistry and Applied Biosciences of ETH Zurich. In a joint effort with Chemtogether, its aim is to enable students and employers to connect with each other.